ALEPPO /Syria/, December 4. /TASS/. A convoy of the Russian Center for the Reconciliation of the Warring Parties in Syria has delivered more than 150 tonnes of humanitarian aid to residents of eastern Aleppo. A sea transport has delivered a total of 280 tonnes of articles of daily necessity, including food. “The cargo was delivered from Russia at the beginning of this week by a sea transport with the use of dry-cargo vessels. 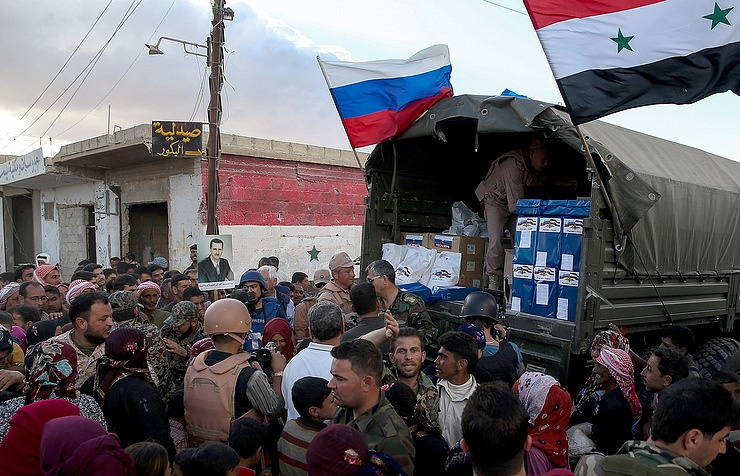 A total of 15 40-foot containers with humanitarian aid have been delivered for Aleppo residents affected by the hostilities,” representative of the Russian Armed Forces’ Military Transportation Service, Major Eduard Goryunov, said. The humanitarian cargo weighing over 280 tonnes includes rice, sugar, wheat flour, canned food, tea, that is, all kinds of food the city’s residents need badly, said representative of the Russian Reconciliation Center, Major Andrei Glushkov. Bags and boxes with foodstuffs were reloaded from shipping containers into trucks and delivered to the refugee camps. The Russian military deployed 150 field kitchens providing hot meals in the centers for internally displaced persons. Delivery of warm clothes, drinking water and food has been organized. The sick and wounded get medical care. To date, the Syrian government troops have liberated more than 40% of Aleppo’s eastern neighborhoods, which are home to nearly 90,000 people. Advanced detachment of the International Mine Action Center of the Russian Armed Forces left for Syria to conduct mine-clearing operation in the eastern areas of the Aleppo city, which had been liberated from insurgents. The servicemen passed attended briefing and practical exercises concerning humanitarian mine-clearance in Nakhabino (Moscow Region), and embarked in the transport aircraft at the Chkalovsky airfield. The mine-clearing detachment of the International Mine Action Center of the Russian Armed Forces is absolutely automated and fitted with advanced mine-clearing and safety equipment. The detachment also includes a unit with mine-searching dogs. Earlier, specialists of the International Mine Action Center of the Russian Armed Forces have accomplished mine-clearing operation in Palmyra. The Russian military servicemen have defused almost 18.000 explosive devices and cleared 825 hectares as well as 8,500 buildings. 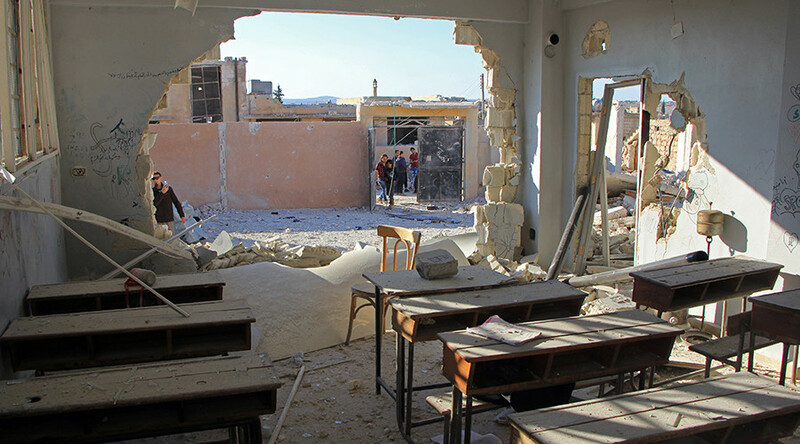 November 7 – On October 26, as many as 22 children and six teachers were killed i…n an attack on a school compound in Idlib, according to the United Nations Children’s Fund (UNICEF). On Sunday, Human Rights Watch published a statement accusing Russia and Syria of “war crimes” based on the testimony of alleged witnesses of the incident. “Publication of yet another ‘war crime’ accusations by Human Rights Watch after more than a week, when some phone ‘interviews’ of seven aggrieved people are provided as new ‘evidences’ do not stand up to any scrutiny and is yet another information attack,” Konashenkov said. 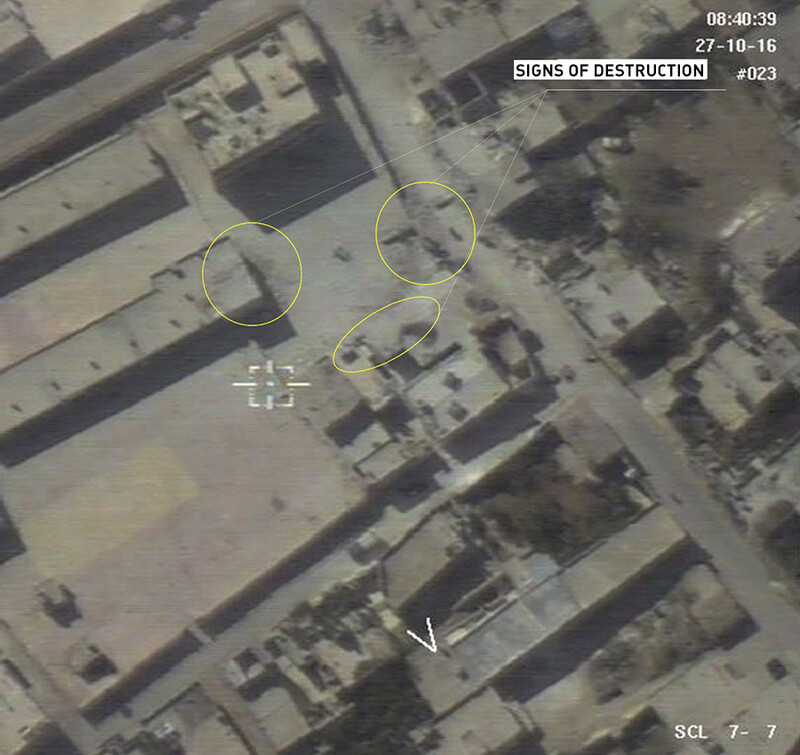 He added that the Russian Ministry had already published evidences that the school’s buildings had not been bombed. 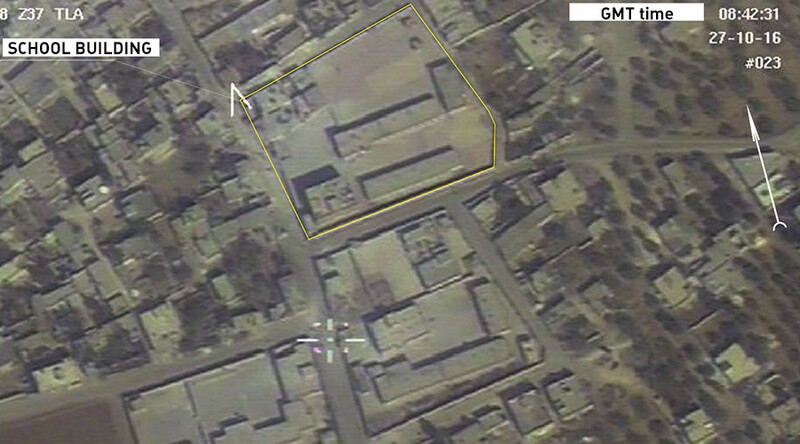 According to the Russian official the area where the school is situated has been occupied by terrorists from the Jabhat Fateh al-Sham group, formerly al-Nusra Front, which is outlawed in Russia, and only “liars” or “crazy people” could say that the jihadists would allow secular schools to continue their activities.